Guys, I cannot stop thinking about yellow and black. Together. Forever. Pardon my silly face in this picture - Let's concentrate on this dress! It is one of my all time favorite dresses. I found it while shopping in one of my trusty thrift stores and knew it would be coming home with me immediately. I know animal prints are HUGE right now but I actually bought this last year sometime. I don't really think animal prints are ever "out" - so long as they're worn correctly. This dress has a fantastic, classic fit to it and just so happens to have a fun animal print as well. That makes it a closet staple in my book. Don't you love those ugly, cheapie belts that come with certain tops/dresses? (Note: This one did not come with this dress.) No? Me either. This is actually one of those belts that I happened to not get rid of because... I don't know. I guess I thought somewhere down the line I would use it someway somehow. Today was it's day. I wanted the dress to take center stage so I didn't feel my typical black braided belt would work. Too much. This belt was nice and simple so it won. I think it looked pretty darn good too! Not too shabby for a freebie! The minute I laid my eyes on this dress, I knew it had to be mine. I've been trying to add more "neutrals" to my wardrobe. I wear browns every so often. I next to never wear tan/khaki. I don't know why - I just seem to have always been a black girl. It may be because I'm pale and I feel like that often makes it hard to for me to work such a color into my wardrobe as it tends to draw even more color out of me. I've been seeing SO many neutral outfits around the blogosphere lately and I just couldn't resist dabbling. I love the design on this dress - the color is neutral but the print is still fun. Plus, I knew it would go perfectly with this blue jersey knit button up that I bought from Old Navy during one of their amazing sales this summer. Blue is another color I don't wear a lot - so this was the perfect "out of my box" outfit for me to put together. These boots? They're a recent thrift purchase too. I love boots. Love, love, love boots. I can never have enough. Boots are something that are hard for me to come by, though... especially at thrift stores. They're either ugly, too tight around my calves (they're meaty, I'm honest) or not my size (I wear a size 9). So, imagine my delight when I walked by these pretty ladies - They are a good style, totally fit around my leg and were my size! And cheap as heck at $4.60. Score! Yes, they're a bit scuffed, but I like that! I think it adds character. Plus, I don't have to worry about being the first to scuff them up! My way to cinch everything in? A good braided belt. They go with everything! I love the cognac color of this one. Today is a lesson in ultimate fashion frugality: Winning amazing fashions. I mean, cheap fashion is fantastic. There is nothing quite like a great sale, the perfect clearance rack find or, better yet, the most amazing thrift store treasure. BUT. 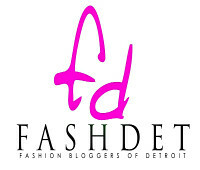 Have you ever WON an amazing fashion item? Free fashion? Yes, it happens. That being said, I thought you might want to know about a fantastic giveaway going on at the Barneys New York website. Barneys is currently running a giveaway where you have the chance to win seven fantastic bags from Givenchy, Celine, Balenciaga, Nina Ricci, Lanvin, Proenza Schouler, and Valextra. Sounds amazing, right? Enter to win (and read the official rules) here before September 29, 2010! No, it's not my birthday today... but this is my birthday dress! Shrug: Bright green, soft & comfortable. Bought on clearance at Old Navy years ago. I bought this dress last year to wear on my birthday. Do you ever buy a special outfit to wear on a special day? I do this for pretty much any holiday: Christmas, Easter, my birthday, my boyfriend's birthday, etc. I blame this on my mom. She always bought my sister and I new outfits for each holiday - and I'm talkin' down to gloves (not the winter variety) and hats. I've always been quite the girly girl. I actually bought an amazing chunky vintage necklace to go with it but left that lady out today considering I was wearing the bright green shrug with this. The necklace has a lot of red in it and I didn't want the outfit to end up looking over the top. Can you believe these shoes came from Walmart? I bought them a few years ago when I found them on their shoe clearance rack. I want to say I paid $7 for them but I'm not 100% sure on that. And with that I bid adieu to summer! I figured that wearing one of my favorite vintage sleeveless dressed would be appropriate for one of the last few days of summer. Are you sad to see summer go? Personally, I'm not. Fall is my favorite season - I say bring on the sweaters and the boots! Bring em on! Some days I am just all about the black. Black Pants: New York and Company... and literally probably ten years old. No lie. Bangles: Part of a bigger set from Forever21... bought these last year for a wedding. Hair: VERY MUCH in need of a cut and put up while wet today... I was lazy. This is one of my favorite all black outfits. I typically do not wear a lot of black pieces together - I'm picky and think that each piece I am wearing isn't the same "shade" of black. A little OCD, yes. Welcome to me! :) This look never lets me down though. It's one of my favorite looks to pull together when I am feeling lazy. My favorite thing about the sheer tunic is that it is the perfect length and has slits down either side... which makes it very flowy. The picture doesn't show this as well as I would like but you can kind of see the way it billows as it was slightly windy outside when I was taking these pictures. I bought these bangles last year when I had a wedding to attend. They came as part of a larger set. You'll come to find out pretty quickly that I love bangle bracelets. I think one of the first things I ever bought at a thrift store was a vintage black bangle. I haven't stopped since! I found these shoes the other day on my most recent thrift hunt. $3.40 is quite certainly a deal for Tahari shoes... especially when they appear to have never been worn! Wore them at work all day (which is always the ultimate shoe test!) and couldn't be happier - they are super comfortable! If there is one thing that bothers me when I read a fashion blog/site, it's that the author never seems to have an "off" day. You know... they always look amazing, are dressed to the nines, a hair is never out of place. I'm not trying to say that this look may not be true for some people - I'm sure that it is! BUT. But... everyone? Really? None of you ever wear sweats? Or do you just find it not worth documenting? Yep, this is reality some days. I had today off of work so I spent it running some errands - mainly stocking up on groceries for the week. Personally, I don't have the energy to look amazing every single day. I don't want to spend my day off dressing up to go to the grocery store. Simple jeans and my favorite hoodie won the outfit war today. Don't get me wrong - I realize why most wouldn't post a look like this. It's not exciting. It's not amazing. It's not inspiring. But, you know what, I'm ok with that. I'm a real girl and real girls sometimes don't always look their best - I wouldn't want to pretend otherwise! What are your thoughts on this? Do you dress like this on certain days and just choose not to show it to your audience? Why don't you? Let me know! While "window shopping" online lately, I've come across a copious amount of shoes that make my heart skip a beat. I seem to go through periods of absolute shoe love followed by periods of shoe boredom. Summer felt like a period of shoe boredom for me. I love sandals, I do... but there are only so many different sandals that you can own. It gets a bit repetitive after a while. When fall hits, I always get excited. The thought of boots, booties, heels, suede and rich colors dances through my head. So many possibilities! So many fantastic shoes! ... Erm, so little my budget. Wah wah. Keeping that in mind, I put together a little Kaboodle styleboard with my most recently desired shoe looks for fall. What do you think? What shoes are you lusting after right now? Not a very exciting outfit, but I was in the mood for comfort. It was "casual friday" at work which means we can get away with wearing jeans but jeans were not a part of my vocabulary today. Sometimes jeans feel and fit great and sometimes they just don't. Today was one of those days. I always plan my outfit for the next day the night before. If I tried to plan it out in the morning, I would be eternally late for work. (Um, more so than I am already. Ha.) I slipped these cords on the night before and liked the look of them with these chunky heeled sandals. I'm not loving it as much as I did last night. The shoes... I don't know. I picked them up at one of my favorite thift stores quite a while ago and have been toying between liking and hating them ever since. They remind me of a sandal from the 90's... which, on certain days, as I said, I like and on certain days, I hate. My toes came to a final decision today: NO! I think these are just a tad on the small side for me. My toes felt so scrunched all day long! Moral of today's story - Sometimes you win, sometimes you don't! :) Keeping items that don't make you look and/or feel good when you wear them isn't worth it. I always believe in a good closet edit every now and again. This outfit has me inspired to do just that! Want to copy the look? Take a look at similar products linked below. Everything is $50 and under! Check out the latest styleboard I made using Kaboodle.com. It's my take on their latest contest: Fashionably Fit. 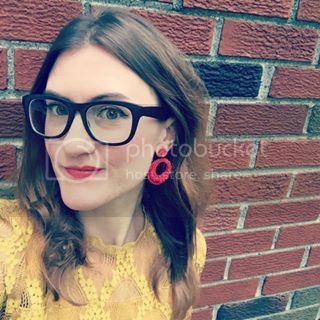 If you've never used Kaboodle.com, I urge you to reconsider or check it out! It's the ultimate tool for a shopper - especially if you like to shop online or enjoy sharing your finds with others. I initially joined the site in 2007 (I can't believe it was that long ago!) and have used it consistently ever since. In fact, I've even been given the esteemed pleasure of being deemed an A-Lister for the past two years! Are you a Kaboodler? Did you just sign up? Add me as a friend! Let's shop together! Have you bought a sequin top yet? I've been resisting because I wasn't sure I was on board with this look. Sequins bring me back to the days of dance recitals. I wasn't sure how they would translate to clothing - especially every day pieces. Recently, I found this gorgeous, yet simple grey sequin tank on Piperlime.com. It sold me on the sequin look. It was a little bit funky but not over the top - the perfect mix of a piece to work into my wardrobe. The price, however, wasn't working for me. $76 on sale? Not for this girl. It took a little bit of time, but I found a decent frugal lookalike. I know that Kmart isn't the first place many of us would look for fashion choices, but you should really reconsider that! The Kmart design team is really shaking things up over there & breathing fresh air into Kmart's designs! Anyway, the lookalike? I think it's pretty close. The cut on the bottom is a bit different - but I actually like it more that way. What do you think? Do you like the high or the low version more? Have you purchased a sequin piece for fall? If so, how do you plan on working it into your wardrobe? Looking to add a little sparkle to your wardrobe? 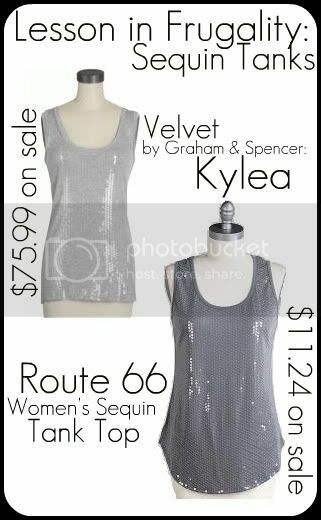 A sequin tank is a great, inexpensive way to do that! Looks great on its own for a night out or layered under a cardigan for a day date - the possibilities are endless! Give these options a try - they are all under $50 each! There has been a pair of boots I've wanted for quite some time now: the thigh high boot. Everytime I see someone wearing them, I die. They look, at least in my opinion, gorgeous on anyone: tall, short, skinny, not skinny... you get the idea. The hard part is finding the right pair to fit your legs. This becomes an even bigger task when you factor in price. Thigh high boots are no cheap task. Regular footwear can be pricy, so add in the fact that you're asking for a thigh high piece of footwear and you're looking at high prices. I sat down determined tonight to find the perfect, frugal pair. I am sick of lusting over these beauties! I was ready to make a pair mine. The weather has been particularly chilly here lately so fall/winter has been nipping at my ear. Thoughts of boots, coats and sweaters have been dancing in my head! Oh, yes, I thought... a pair of boots shall become mine tonight! HOURS later - I came across the Da Viccino Sofit at Shoebuy.com. Yes, perfect! Why? Well, I was looking for a non-suede, angled top pair of boots that looked like they could be roomy enough for my calves. Yes, ladies, I have been cursed blessed with ample calves. This pair provided all of that for me. Why not suede, you ask? I love the suede boots I have seen but felt for my first pair I would prefer to not have suede. The best part? These came in under $50! Now that's what I call a deal! Don't get me wrong, the Modern Vintage Carina is a gorgeous boot and with it's leather exterior, it's bound to last for ages... but I just don't have the $450 to shell out in this type of situation. What do you think? Do you like my lookalike? Looking for the perfect pair of thigh high black boots? Check these out - all pairs are under $50! Can you tell I have done some work around this place! ?